Everybody’s skin produces melanin, which is the pigment that gives your skin its color. However, in some cases, the skin produces excess melanin, which gathers in a certain area of your skin. This is referred to as hyperpigmentation. Hyperpigmentation is more common than you would think, and can affect those of any race. Of course, working out the cause of your hyperpigmentation is the best way to treat it, but, in the meantime, here are eight steps that you can take to fight your hyperpigmentation. When it comes to fighting hyperpigmentation, exfoliation is key. While physical exfoliants will work too, they take much longer to bring about results, which is why you are best off using chemical exfoliants to deal with hyperpigmentation. These will help to rid your skin of its pigmented cells, as well as those that are at the “expression” stage of pigmentation. While it may be tempting to exfoliate more often once you begin seeing results, make sure that you do not exfoliate more than two or three times a week. Because you will only end up irritating your skin over time, leading to redness, raw patches and inflammation, and you will also probably only notice this flaring up once it is too late. Do you exfoliate in the morning? If your answer is yes, this is something well worth changing. Exfoliation removes the top layer of your skin. While this layer does lead to a rough and dull complexion, it also acts as an extra barrier when it comes to shielding your skin from the sun. Since the sun will only exacerbate your hyperpigmentation, save your exfoliation for the evening, so that your skin has all night to recover. The necessity of a broad-spectrum sunscreen is constantly being put out there, but this is still something that people tend to ignore. If you know that you have been slipping up when it comes to sun protection, then you need to be aware that this is likely the cause of your dark spots, and more sun exposure is only going to worsen them. 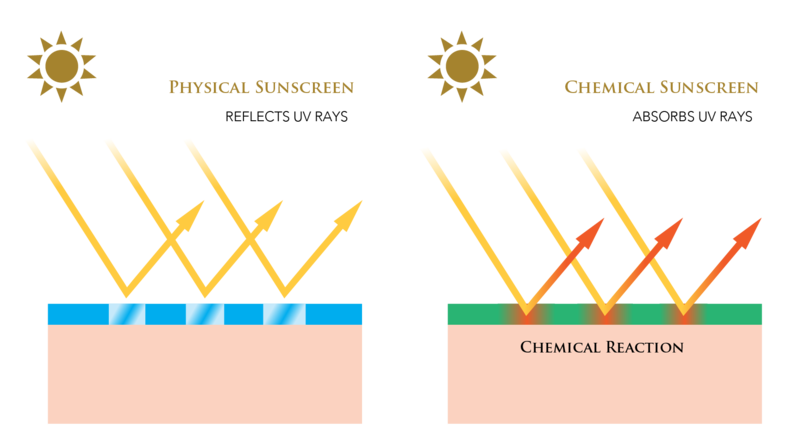 When it comes to the various sunscreens out there, these can be split into two categories, physical and chemical. Want to know which one is best for hyperpigmentation? Physical sunscreens, also known as mineral sunscreens, are the best for fighting hyperpigmentation. Thanks to the way in which they reflect the sun’s rays. This is due to the titanium dioxide and/ or zinc oxide that are used as active ingredients, and these have shown to be effective at fading hyperpigmentation. Think you don’t need to be wearing sunscreen because the sun isn’t shining strongly? This is an extremely common misconception, and is one that ends up causing more skin damage than you could imagine. The sun’s UV rays are strong enough to penetrate through even the thickest cloud, and will also penetrate through glass, as well as many clothing textiles, meaning that, unless you are indoors and away from any windows, it is hard to keep your body protected. Not only that, but the sun’s rays are just as strong in the winter as they are in the summer, making sunscreen a product that you should be using year-round. Don’t like the white tinge that your physical sunscreen leaves behind on your skin? This is a common problem with older formulas. Simply look for a newer, updated formula, as there are now many that have been created without that white cast. Retinol, which is a form of vitamin A, is an exceptionally powerful skin care ingredient. It brings with it multiple skin benefits, one of which is its ability to help fade discoloration and hyperpigmentation. With the way in which it helps to speed up your cell turnover rate. This is the rate at which your body sheds dead skin cells, revealing the fresh new ones beneath, and, unfortunately, it slows down with age. Retinol helps to speed this back up, working, in a way, like a rapid exfoliator. Never used a retinol product before? As mentioned above, it is a powerful ingredient, so you do need to be careful. Now that we’ve discussed retinol, what about antioxidants? Well, when retinol is paired with other antioxidants, it makes all of these ingredients so much more effective, especially when it comes to treating hyperpigmentation. You can either look for a product that contains retinol as well as a few antioxidants, or use separate products. Have you ever heard of kojic acid? It’s a natural ingredient that comes from fungi. It inhibits the excess production of melanin in the skin, preventing your skin from producing the extra melanin that causes hyperpigmentation, and does this without affecting the lighter skin around the darker areas at all. You will find a number of different products that contain kojic acid, from cleansers to creams to masks. For best results, choose products that will remain on your skin for a longer period of time, such as a serum, moisturizer or mask. Are there any alternatives to kojic acid? Yes, with the most common one known as hydroquinone. It works in a very similar way to kojic acid, but has been found to have some carcinogenic effects. Using this ingredient in the long term can actually cause a significant amount of damage to your skin cells, making kojic acid a much safer alternative. Other alternatives include mandelic acid, which comes from almonds, and azelaic acid, which was originally developed as an acne treatment. Ultrasonic and LED phototherapy devices have been used in skin care for quite a while now, but was never really available to the home user. Today, however, there are so many home skin care devices available, meaning that you can now easily make use of this technology when it comes to fighting your hyperpigmentation. Never heard of these devices before? 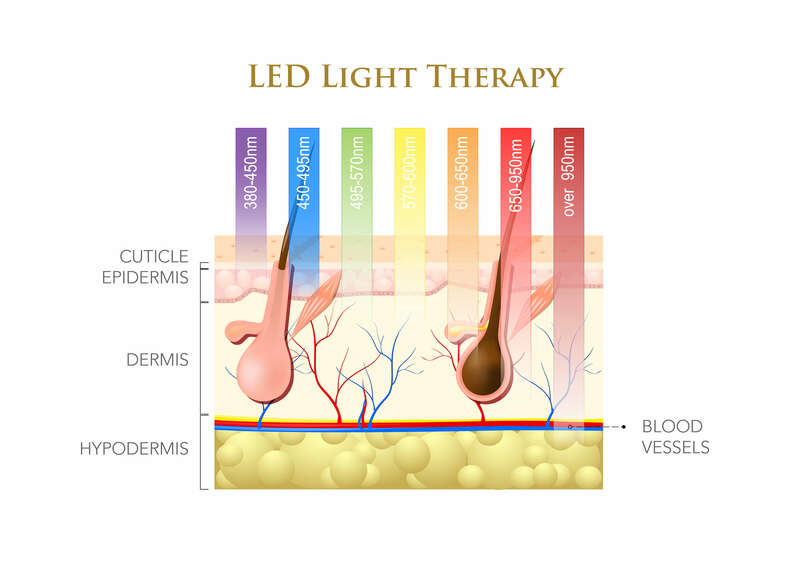 For skincare devices with LED light therapy, please see this link. Inflammation is one of the leading causes of hyperpigmentation. Even if yours has been caused by something else, inflammation within your body will only worsen your dark spots, making it well worth trying to reduce any inflammation. Wondering if there are any foods you should avoid? Yes. Sugars are the main one, with fructose being the biggest culprit when it comes to hyperpigmentation. Because it affects your hormones, causes spikes in your blood sugar levels, and damages your liver, all of which directly affect the health of your skin. To eliminate fructose from your diet, make sure that you cut out all foods and drinks that contain high fructose corn syrup, and stay away from honey and agave nectar too. Chemical peels work in a similar way to chemical exfoliants, except on a much deeper and more intense level. They rapidly speed up your skin’s cell regeneration process, while breaking the bond between your older cells and your newer ones, enabling your body to quickly shed the older ones. This means that the darker pigmented skin cells are shed at a much faster rate than they otherwise would have been, and will be replaced by lighter, more even-toned, skin cells. Wondering how often you can do a chemical peel? It depends on the exact peel that you use, but it would generally be every four to six weeks. Chemical peels also come in different strengths, so make sure that you read up on the peel that you choose before applying it to your skin, so that you know exactly what to expect. If your hyperpigmentation just refuses to budge, then your best bet might be laser treatments. During each treatment, laser energy is delivered to a targeted area in short bursts. The darker skin cells absorb this energy, which then causes their pigment to break down, while the lighter skin cells around the hyperpigmentation simply ignore the laser energy. Depending on how severe your hyperpigmentation is, you may need multiple treatments in order to clear a larger area. Keep in mind that this can be extremely costly and time-consuming, which is why many use this only as a last resort method. 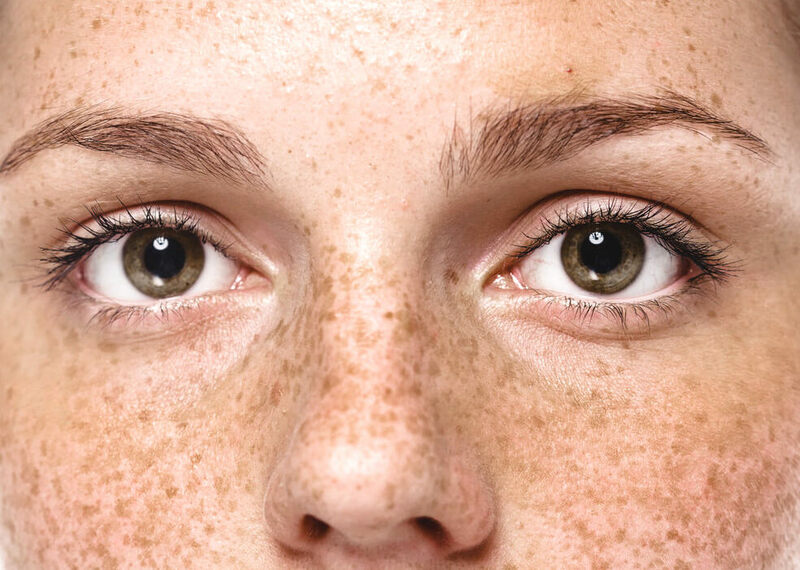 Hyperpigmentation can be tricky to deal with, especially if you cannot seem to work out exactly what is causing yours. When it comes to fighting hyperpigmentation, you will always be best off opting for a combination of different methods. This will not only enable you to treat your hyperpigmentation much faster, but will also help in preventing more from appearing.